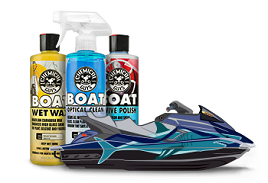 Cutting and polishing is the process of getting oxidized, dull and rough paint back to a condition that can be shined and protected using waxes and sealants. Chemical Guys carries a wide range of cutting and polishing compounds, as well as the tools you need to make them work. 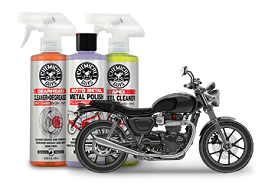 Metal and Chrome require special compounds and tools to get the best result. Chemical Guys offers premium options for the best possible result. Wheel cleaners help to remove dirt and contamination from brake dust, road grime and other particles picked up from everyday driving. Chemical Guys offers a range of options to clean all types of wheels. The outside of your vehicle encounters sun, snow and other harsh weather elements. 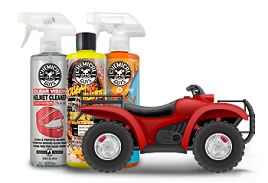 Trim & vinyl protectants help restore and protect rubber, vinyl and plastic parts. Exterior detail brushes are designed with the strength to dislodge external grime, but the softness to not damage your car finish or trim. Chemical Guys sources the best brush designs to produce the best results.